The world has been so changed by so many people like Mahatma Gandhi who risked his life every single day in the belief that someday, there could be peace and love amongst the many different people of the world. It is my deepest wish of my heart too. This is the first time I have ever reblogged as I am just learning thanks to my good friend, Patty. Thank you kindly, Patty! And thank you too, Barb, for sharing this wonderful memory with us all. 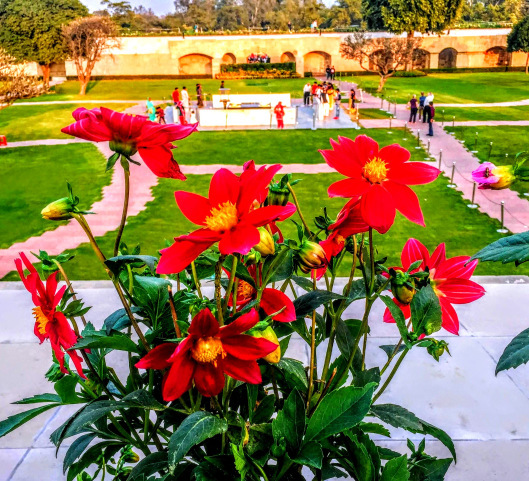 Raj Ghat, Delhi India: an eternal flame celebrates a life dedicated to nonviolence, marking the spot where Mahatma Gandhi was cremated following his assassination in 1948. This is a beautiful song and it says so much about what I think all of us long for. . .